Although trucks, SUVs and crossovers are making most of the headlines in the auto industry these days, especially as far as sales are concerned, there's still seriously fierce competition going on in the midsize sedan segment. 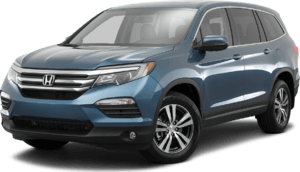 Even though there's an abundance of choice and some very good cars in this section of the market, there's one model that keeps setting the standard the rest struggle to keep up with, and the car in question is the simply phenomenal 2017 Honda Accord. And if a sedan isn't what you're really looking for, the superb Accord also comes as a coupe and hybrid. So whether you want sleek, practical or environmentally friendly, the Accord family has got it covered. A Sport Special Edition trim level is introduced new for the 2017 Honda Accord, and it joins the lineup right between the Sport and EX models with its leather-trimmed seating, red stitching, heated front seats and special edition badging, which is in addition to regular Sport's existing list of features and equipment. 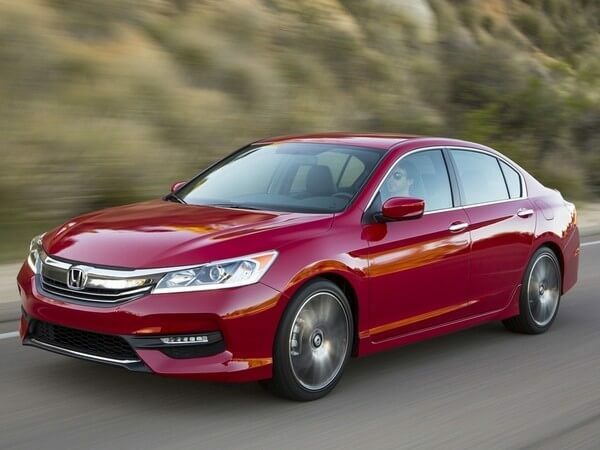 This ninth-generation of the Accord was enhanced last year with a mild refresh, which ushered in the new bolder grille design, a redesigned taillight arrangement, and brought the Honda Sensing collision avoidance technology into the equation. 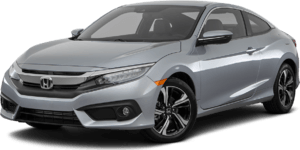 The 2017 Honda Accord has styling that isn't devastatingly futuristic, but what it has got going for it is that it's incredibly handsome, fresh, grown-up and instantly recognizable as an Accord. 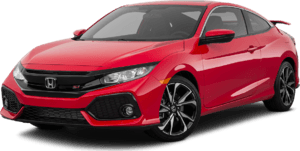 Anyone who enjoys the sportier way of doing things will find the Accord Coupe takes the sedan's winning recipe and adds a sleeker and perhaps slightly more youthful feel. 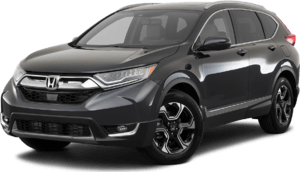 And if you want outstanding fuel economy or you have the loftier ideals of doing your bit to save the planet, there's also now the terrific hybrid variant. 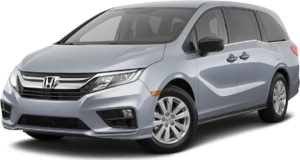 There's no need for an overwhelming abundance of engines to choose from in a segment like midsize sedans, at least there isn't as long as you have the bases covered that is. 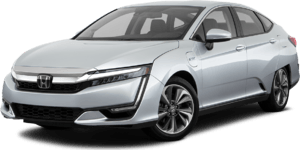 That's certainly the case here with the Accord as its standard powerplant is a 2.4-liter inline-four developing 185 horsepower and 181 lb.-ft. of torque, or 189 horsepower with Sport models, courtesy of their standard dual exhaust system. 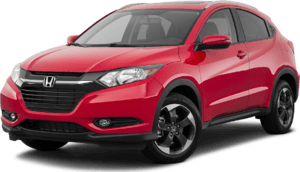 You then have a choice between a six-speed manual transmission (an increasingly rare option in midsize sedan today) and a continuously variable transmission (CVT). Some rivals of the 2017 Honda Accord may have abandoned offering a V-6 these days, but the Accord defies current convention by still giving customers the option. 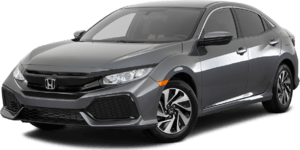 The Honda offering is a 3.5-liter unit that puts a very healthy 278 horsepower and 252 lb.-ft. at your disposal, which is then mated to a standard six-speed automatic transmission, but a six-speed manual option is reserved for the coupe only with this engine. 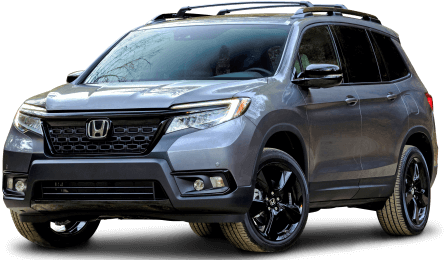 There are plenty of things Honda has long been renowned for, such as reliability, durability, quality and high resale values, but stuffing vehicles with standard features hasn't always been one of them. 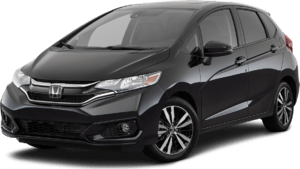 If you haven't experienced a Honda for some time then, you might be pleasantly surprised at just how much you get for you money with them these days. 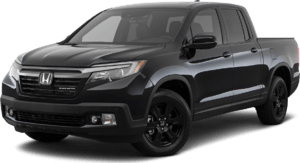 The entry LX model comes standard with: dual-zone automatic climate control, 16-inch alloys, Bluetooth, a rearview camera, an 8.0-inch i-MID display with Pandora audio streaming and text-message capability. The 2017 Honda Accord in EX-L trims gets such luxuries as a 360-watt system with Aha internet radio streaming, and stepping up to the Touring trim starts to get extremely close to a genuine luxury-grade car both inside and out, but without the premium price to go with it. Contact Us to Test Drive a 2017 Honda Accord Today!